The Victorian government’s 2017 housing policy contains a bulk transfer of public housing to housing associations. Housing Minister Martin Foley’s explanation is that “the state is a terrible housing manager”. A similar rationale underlies the handing of public housing estates to private developers to build private housing, the sales of which fund some new public dwellings with the added justification of increasing social mix. Our soon-to-be-published research examines the rollout of this program. In inner Melbourne, following redevelopment of the Kensington, Carlton and Prahran estates, nine more estates have been targeted. The tenants of buildings to be demolished will be relocated from mid-2018, according to a government briefing paper. The federal Greens MP for Melbourne, Adam Bandt, has criticised the program as selling public land to private developers “for a bagful of cash and a smattering of new social housing”. He adds that Melbourne needs “a large-scale build of new public housing on a 1960s scale”. … can’t condemn another generation of Victorians to live in housing poverty. Public housing stock transfer and estate redevelopments in public-private mix are part of a trend that began in Thatcher’s Britain. The Blair government continued the approach, which has become neoliberal policy orthodoxy in the UK and Australia. This allows governments to wriggle out of providing housing for people on low incomes by transferring responsibility to non-government and private sectors. The thing is, housing associations are not necessarily secure or better managers, especially as they become institutions in their own right. Furthermore, privatisation of public land to fund upgrades to public housing not only fails to deliver good value for taxpayers, but is unsustainable. At some point there will be further upgrades needed and no land left to sell. The argument that the state should not be in the business of managing or building housing is one we’re hearing more often. It’s connected to the small-government case more broadly: should the state be involved in health care, education, the media? As the ABC and BBC demonstrate, however, state-owned enterprises can operate perfectly efficiently. And, ironically, they provide a rare source of ideological independence from both government and big business. Why shouldn’t the state fund an ongoing program of upgrading, replacing and building public housing? Why shouldn’t it establish a regional organisational structure which is locally responsive? There is no case for assuming that, simply because the state is involved, construction and management must be inferior and people will be consigned to “housing poverty”. The major determinant is a matter of finance. And the state will always have better and cheaper access to finance than the non-government and private sectors. If finance were really as impossible a problem as governments like to make out, and if it were deemed reasonable that privatisating public land could help fund this process – and these are big ifs, which should be publicly debated – then the government should be the developer, to retain control of the profits. These should go back into public housing instead of disappearing with a private developer. The Victorian government’s call for tenders for its Public Housing Renewal Program does indicate some learning from the experiences at Kensington and Carlton. The sale price for the public land “will reflect the land value and must meet a minimum threshold based on a market value mechanism agreed by the Valuer General Victoria [VGV]”. This is an important concession, though VGV valuation is no guarantee of market price. The tender document notes that “where the return achieved by the development proceeds exceeds a benchmark, it is anticipated that there will be an agreed sharing of the excess”. The government will need to keep a close eye, though, on the costs and profits declared by the developer. The specification for the number of social housing dwellings on the redeveloped estates to “exceed the current number of public housing dwellings by 10%” is a definite improvement on the Kensington project. But replacing three-bedroom family dwellings with studio apartments, as is the case at Carlton, doesn’t constitute an increase in tenants. Even if tenant numbers do increase, 10% seems a disappointingly modest aim. It is the social mix objective that really brings this approach unstuck, however, especially when the favoured model of private developers is to separate public and private residents by buildings, if not entire precincts. The minister reacts with horror to the suggestion that inner-city public land should start from the presumption of 100% public housing and work back from there according to the development economics. It seems a manufactured horror. 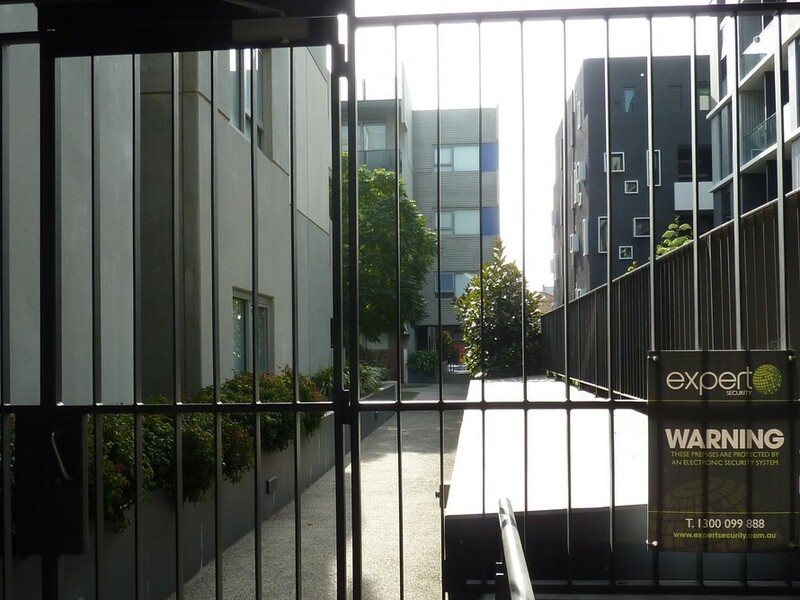 Gentrified inner Melbourne is not Brixton or Baltimore – these estates are surrounded by private housing and excellent public services and community facilities where opportunities for interaction are plentiful. Let’s dismiss the fig leaf of increasing social mix on estates in privileged inner cities. We should concentrate instead on providing as much low-income housing as we possibly can for people who desperately need somewhere decent to live.